To drive a car in Cambodia, can be somewhat of an experience for a European, it takes a bit of getting used to and nerves of steel. It doesn’t matter how much experience you have as a driver. It seems that there are absolutely no traffic rules and if there are, then nobody knows them at all. Even the police don’t obey the rules. The only rule that seems to exist is, don’t cause an accident. When driving, you don’t only share the road with other vehicles, you have to deal with pedestrians, cows, elephants, dogs, chicken, the occasional monkey, noodlesoup-trolleys, street sellers and most of all motorbikes. For a Cambodian it is much cheaper to drive a motorbike than a car and its also much more efficient for moving through any town. 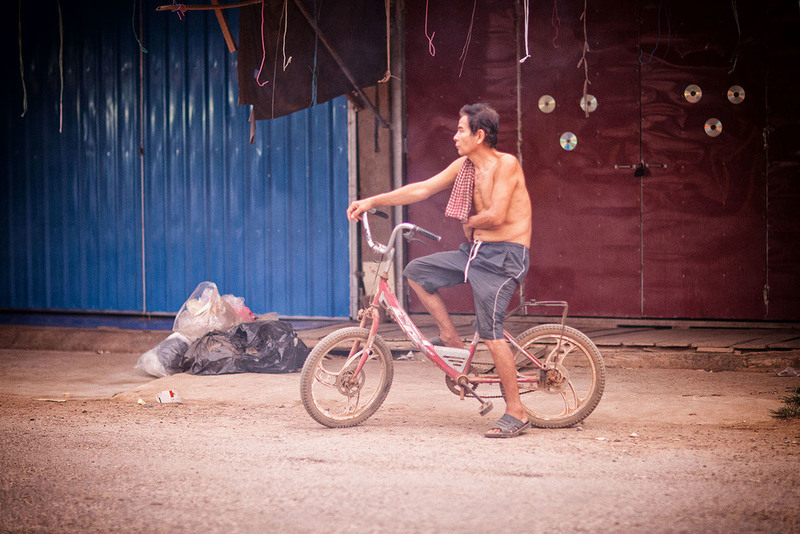 The Cambodian transports almost anything with his 2 wheeled “family member”, chicken coops, pigs, furniture and groceries. It’s not unusual at all to find 4 – 6 family members all traveling on the same motorbike.